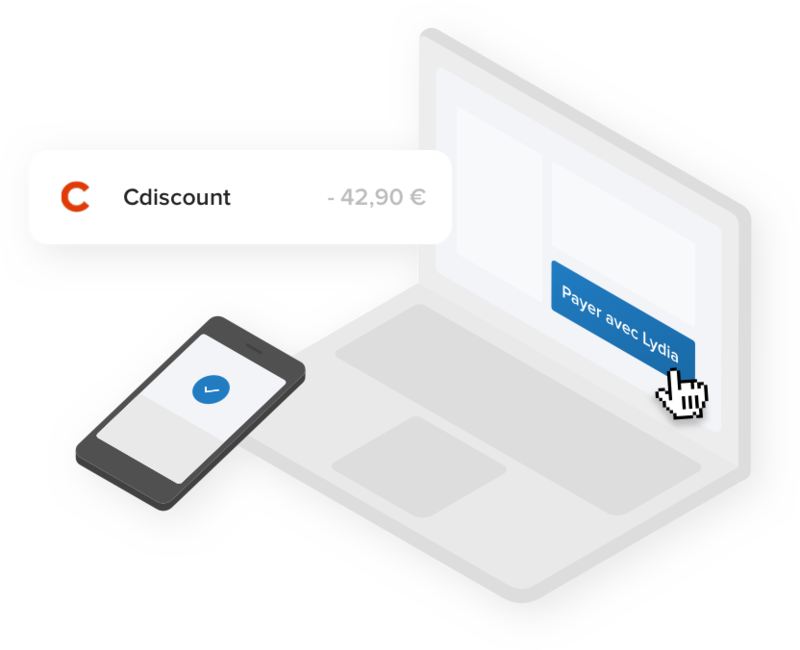 Not only can you pay with Lydia for purchases on websites with virtual card numbers that are generated in the app, but you can also pay on our partner sites even quicker, simply by clicking on the Lydia button displayed on the merchant's site. This is available for every website that indicates that you can “Pay with Lydia” when you get to the checkout. This experience is optimised for those who have the Lydia app on their phone. All you have to do is to open the app and confirm your payment, either through your Lydia balance or directly from your card using Touch ID, facial recognition or your PIN code that you created when setting up your account. No need to re-enter your card details. It is simple, fast and secure.